The 4Smarts SoundSplit cable makes it possible to listen to music using your lightning headphones or earphones while charging your iPhone with its Lightning port simultaneously. The main down side to not having a headphone socket on the latest iPhone's is that you could charge or listen to music, not both. Well, now you can. 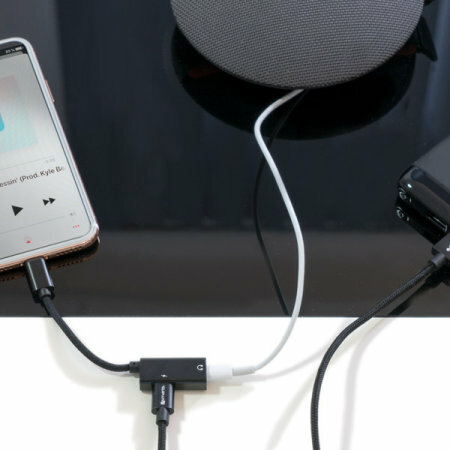 The 4Smart SoundSplit Lightning to Dual Lightning Port Audio Splitter, allows you to connect Lightning headphones and a Lightning charging cable at the same time, meaning you can listen to music and let your phone charge simultaneously. Don't be concerned that this is a compromise option in terms of charging power. 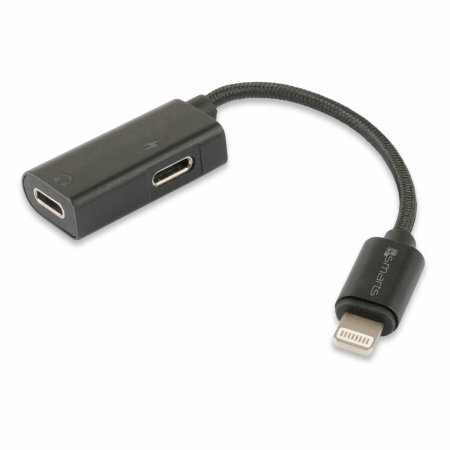 This cable allows pass-through charging that is no different to charging directly with your Lightning cable. Enjoy a high quality music stream with this 4Smarts SoundSplit Audio adapter. The sound passed through this adapter will remain of high quality, with no loss in bass or treble. This 4Smarts SoundSplit Audio Splitter is really compact and lightweight - you will barely notice it being there! With a length of 12cm and little to no bulk, you can still take it with you to the gym or on the trip. 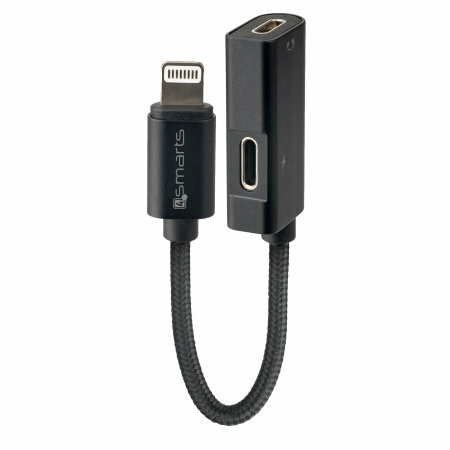 The 4Smarts SoundSplit Adapter has been designed to be used with any Apple devices which have a dedicated Lightning connection meaning it is compatible with the latest iPhone's.